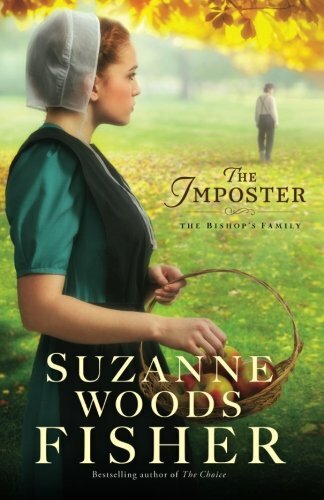 The Imposter is a story of sin and redemption as all good Christian books are. Sin is unfortunately almost exclusively due to the interrelation of people. Creatively, Suzanne Woods Fisher takes a simple and easy to literally walk over plant, moss, and creates a clear correlation between moss and people. While not specifically stated within the narrative it is implied, Woods was basically saying… funny how we can see people and walk on them and never think about it. I really loved the characters in this story. Even the difficult to like let alone love characters as Woods is able to help you understand their back story. She gently gives a reminder that we all need a relationship with Christ. I always have a favorite character and this time I have a tie. --Pastor David Stolzfus is wise. He understands that sometimes you have to make the unpopular decision because that is what God calls for. He reminds me very much of my God fearing husband/pastor. --Birdy is my other favorite character and she may, by a hair, be my favorite of all but I just couldn’t leave Pastor Stolzfus off the list. Birdy appears too happy, gangly, and awkward to just about everyone; most unfortunately to her family who give her very little notice and definitely no respect. All you need to do is spend a bit of time with her though and you will be blessed by the depth of her faith, how she sees God’s creative beauty in nature, her wisdom, her gentle kindness, and huge heart. I have to give Thelma an honorary mention. Sometimes everyone needs a Thelma in their life as she is Godly, wise, encouraging, and not condemning. As in most Amish fiction romances, those in The Imposter are generally sweet with happy endings. I love that The Imposter also throws you an unexpected right hook. I enjoyed The Imposter very much. More importantly though it was a book that I needed at this time in my life. The sweet reminder to meditate on God's word, to be quiet and listen to Him speak, and to view and enjoy His creation visible throughout the world around us. Also, to allow ourselves to drop our anger, frustration, and heartache in order to heal. I received a review copy from Celebrate Lit in exchange for my honest and unbiased review. I wish to thank Sandra Barela of Celebrate Lit for including me in The Imposter Celebration Blog Tour and Giveaway. Sandra also blogs at Simple Harvest Reads.